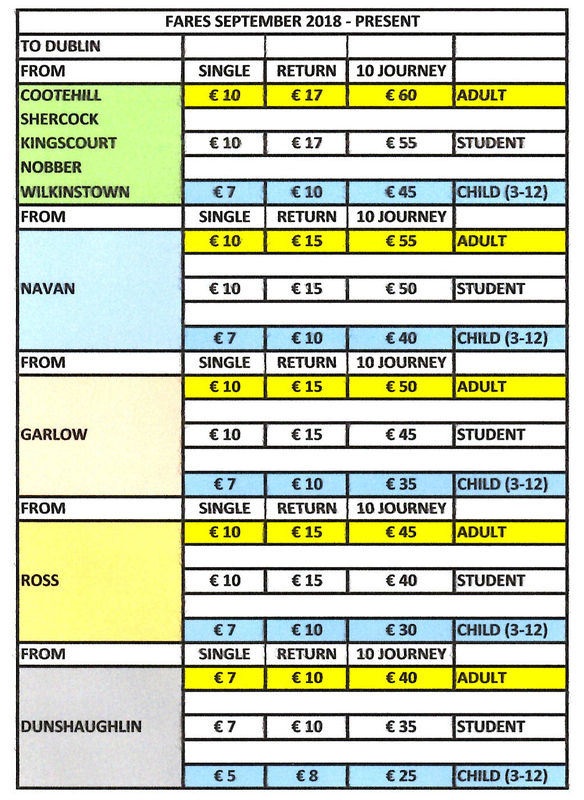 We offer a full range of Adult, Student and Child Tickets on our Dublin Service. These include Single, Return, 10 Journey and Annual Tickets. Return Tickets: This ticket is valid for a return journey within a calendar month. Any ticket bought in August for example is valid until the end of August and will expire on the last day of August. 10 Journey Tickets: This ticket is valid for 10 Journeys in either direction. They are valid for the week in which they are purchased and the following 3 weeks for 10 Journeys. For Example: Any ticket bought during the week of September 11th - 15th 2017 is valid until Friday October 6th. These tickets are particularly useful for commuters who work split weeks.